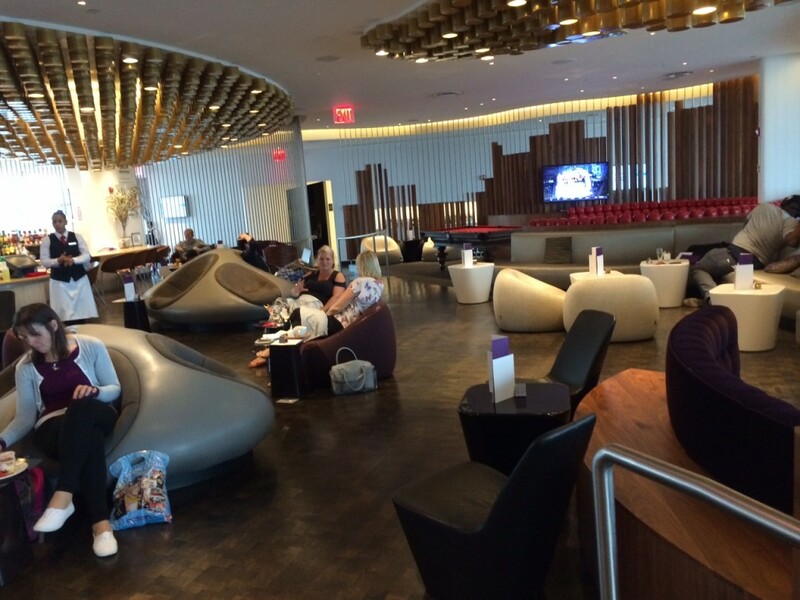 This is my review of the Virgin Atlantic Clubhouse at JFK Airport in New York. 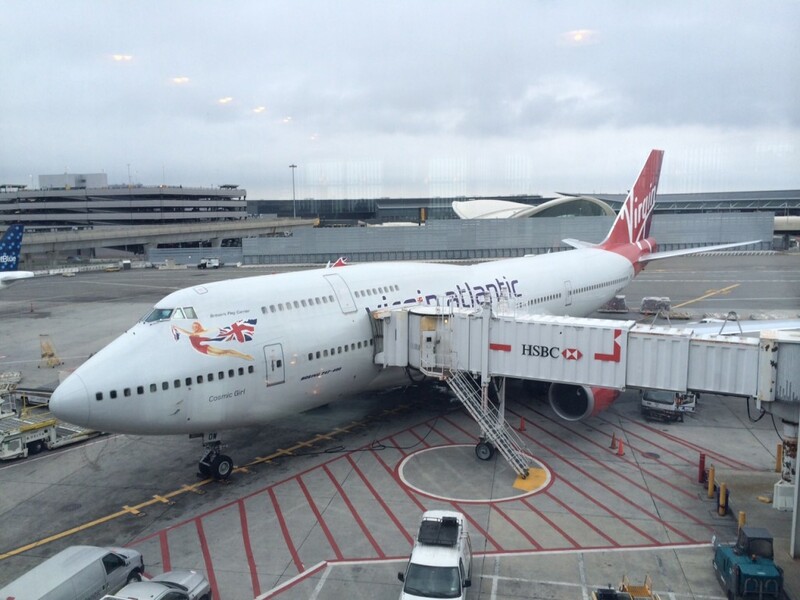 I tried to fly Virgin Atlantic on one leg of my New York trip but availability wasn’t there on the days I needed it. It is now far too long since I flew with them long-haul and I sometimes feel a little guilty writing about Virgin Upper Class without recent experience. When I realised that Singapore Airlines First Class passengers get to use the Virgin Atlantic Clubhouse at JFK, I perked up. The London Heathrow Clubhouse lounge is regarded as one of the best airline lounges in the world with a range of features rarely seen. I still remember getting my hair cut and sitting in a soundproofed room testing out a very high-end piece of hi-fi on my last visit! I assumed that New York, as Virgin’s ‘2nd home’, would be as good. Sadly, I was mistaken. 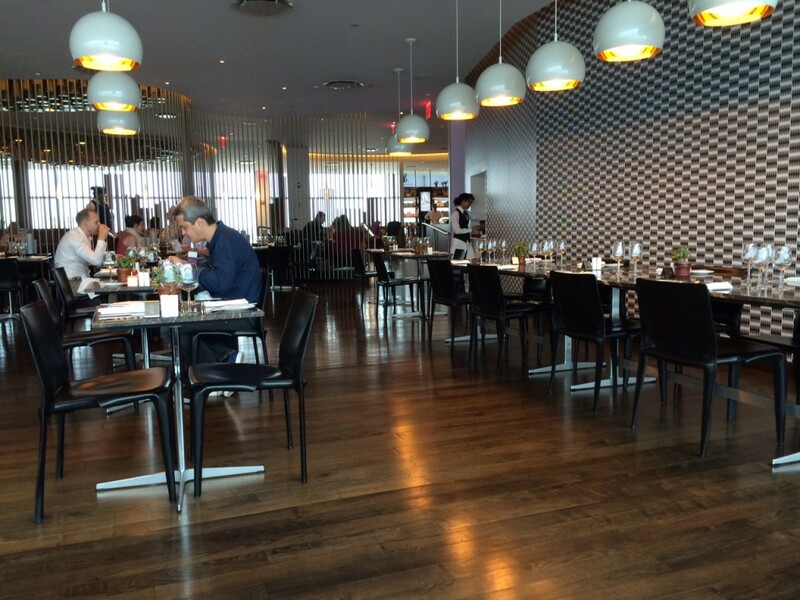 There is nothing wrong with the Clubhouse at New York JFK. By the standards of 95% of US airline lounges it is outstanding. It just doesn’t have anything special about it. I ended up spending over two hours there which was far too much. 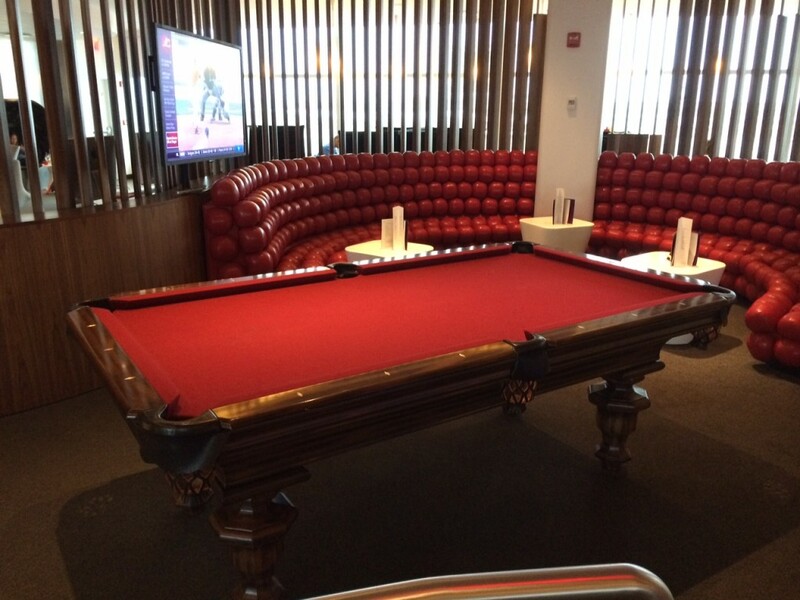 The funkiest part of it, which isn’t saying too much, is the pool table …. …. 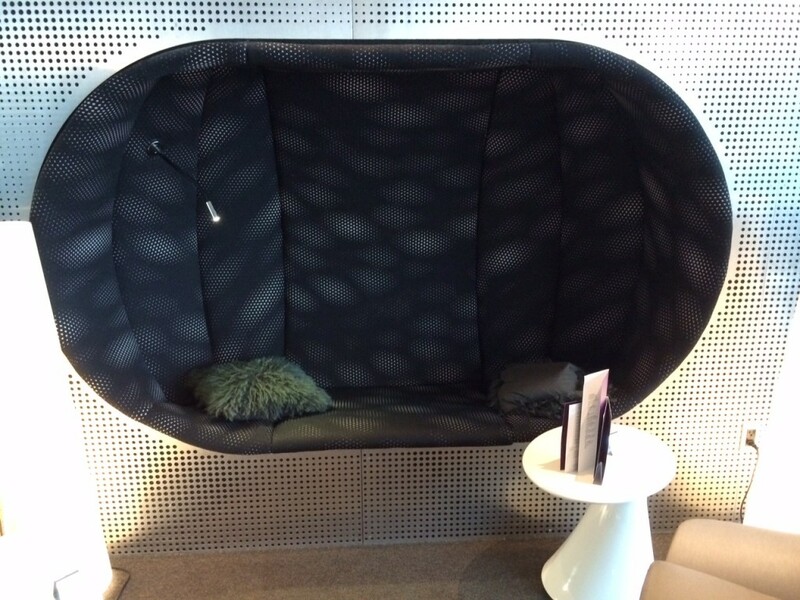 and these odd seating pods built into one of the corners, which aren’t really comfy or convenient …. There is a tiny spa but it didn’t seem up to much. I didn’t try to get an appointment. I DID try to have a shower but every time I checked all three of the cubicles were locked. The dining area does offer a good view of departing Virgin aircraft through the windows. There was no sign of my Singapore Airlines flight as it was on the other side of the building. Business facilities in the lounge were limited to three PC’s, one of which was out of order. These were on a bar with bar stools for seating which is not hugely convenient. The most interesting thing that happened to me in the lounge is that I was paged for the first time in my life! When I got to the reception desk, it was Singapore Airlines on the phone. There was a family of three checking in and Singapore wanted me to swap seats (moving forward a row) so that the family could have three in a line. As the seats are identical and I still had a window, I didn’t mind. It did make me wonder what other airlines would have gone to such trouble to track down a passenger before moving his seat forward a row …. I used this lounge at a Delta passenger back at Easter. 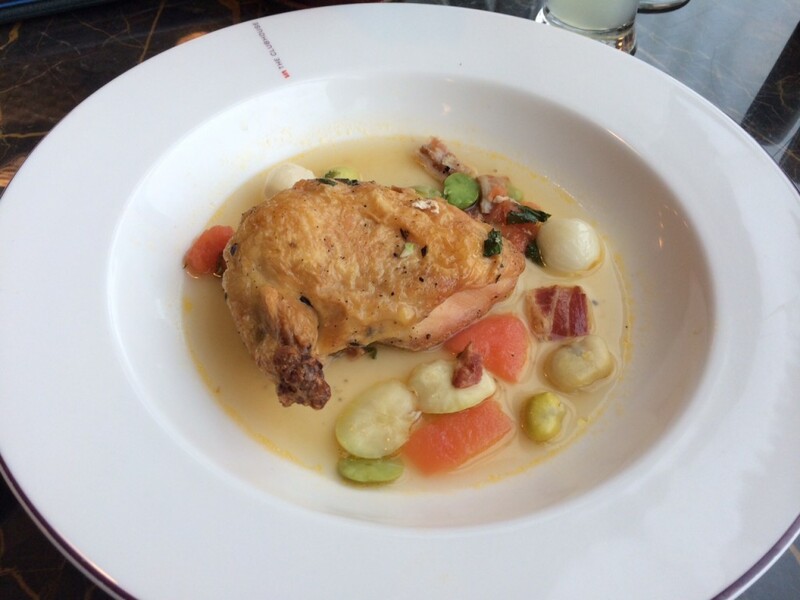 What disappointed me most was the lacklustre service. It all looked very flash on the surface, but waiting staff were frequently difficult to find or flag down, drinks orders were forgotten etc. If you want a full-service lounge, you need to staff it accordingly, otherwise you probably ought to resort to the buffet approach. About the “what would other airlines do” line, I was pleasantly surprised when BA did the same with me on a Club Europe flight. Tracked me down at the lounge in LCA and asked if I would mind a change of row (by 1), to accommodate a family! Thanks for another useful post Raffles! I’ve never flown VA UC ‘cos I feel tied to OneWorld but had always assumed that their JFK lounge was head and shoulders above the BA one – interesting that’s not necessarily the case. Galleries NYC is obviously tired now (is there anything in BA’s portfolio that doesn’t look a bit tired…) but I thought the catering was very good pre-flight, better than your chicken looked. I feel exactly the same, but am starting to question that and tempted to try Virgin. With only 4 VS flights a day out of JFK compared to 25 or so out of LHR, it’s probably expecting a bit much for both Clubhouses to offer identical amenities. There’s no excuse for things not to work or to be unavailable but I’ve always found the staff at both the JFK and EWR Clubhouses excellent and the service far better than in any BA business class lounge, let alone any US airline lounge. Ironically, I read this post in the “VIP” lounge in Almaty, Kazakhstan. I think “It doesn’t have anything special about it” is a turn of phrase I’d regard appropriate to my experience too!! Thai Airlines First will find passengers as well for a seat change, had it happen from BKK to LHR earlier this year. I got paged once, when traveling on Thai first in the LHR *A lounge, to be told “unfortunately your pre-ordered lobster thermidor will now not be available on board, we are very sorry about that”. This is almost certainly the biggest ‘first world’ problem I have ever encountered!! You should have demanded a full refund 🙂 and compensation for the inconvenience. Meanwhile, I`m still trying to work out what on earth BA gave me for lunch recently – a kind of uncooked, folded up, cheese and ham herby mini-pizza thing. Not sure about JFK but the EWR clubhouse doesn’t serve alcohol until lunch time, Lorks a Lordy! Off topic but just to mention the Virgin Money lounge opened this week in Glasgow and very nice it is too, spread over 2 floors (with a ‘cinema’ and a TV room). The actual banking area is tiny in comparison, but told there are separate private rooms in the building to conduct business, somewhere. Also the new Emirates lounge at GLA has just opened. Virgin Clubhouse in Hong Kong is nothing special, except for waiter service. Off topic but to do with Virgin Atlantic Flying Club Points. At what price in UK£ would you sell one million points for ?? These would not be transferred, but kept in account and the bookings would be made for the buyer as and when needed, with buyer ultimately paying the taxes or fees for whatever they wish to redeem for. Just trying to gauge a worth, thanks…. £7,500-£10k for a ‘normal’ person, since an individual can buy sale tickets in J for roughly that level (ie 1p per point or less, so NYC would be £1300 inc tax etc). Market is slim since few people have that sort of cash to spare. Better is to use a mileage broker although your chance of getting ripped off is huge. I’m off to Tokyo with Virgin in a couple of weeks. Is there a Virgin lounge at Narita? Do they share? Anyone been in their lounge recently and can comment..?